A rangefinder can be your best friend during your golf game. However, this handy device has made enough waves on the market that there are many to choose from, making the selection process difficult. 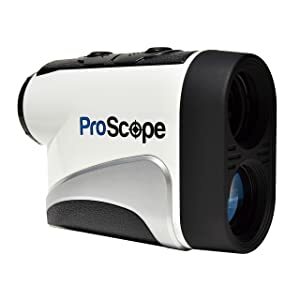 If you need to find the distance between objects such as trees, tees, or other hazards on the golf course, nothing makes this task more easy or accurate than a good quality rangefinder. Save yourself the headache of playing the never ending guessing game while on the green, and don’t risk your game to human error. A rangefinder offers maximum accuracy with minimal effort, which lets your play your game to the best of your ability. We’ll give you tips on what to look for below, so that you can compare models like this showdown between the Bushnell Pro X7 vs Tour Z6. We’ll also give you our top picks for the golf rangefinders on the market in 2017. So, you know you need one to improve your game and make your life less stressful on the course, but how do you select the perfect device for your golf game? Here are a few areas to look at prior to purchasing a rangefinder so you know you are getting the best tool for your game. When purchasing a rangefinder you will want to check and see what kind of yard coverage, also called range coverage, the device has to offer. While it won’t be a huge deal if you never hit the maximum yard coverage that your rangefinder has to offer, it will be extremely frustrating to not get enough coverage out of it. When purchasing, make sure that the amount of yard coverage listed on the device is going to be enough for you and your game, as each rangefinder offers a different amount of coverage. Few sports require as much attention to detail and absolute accuracy as the game of golf. For this reason, the accuracy of your rangefinder is crucial to making sure your game is golden. Check the box when you purchase, as many companies will list what their rangefinder’s accuracy is. This is often reported to be within half a yard of accuracy, however these claims haven’t always held true. Look around the internet and see what real customers have used in order to get the best feel for the level of accuracy provided by your rangefinder. For many golfers, cost is going to be the deciding factor. 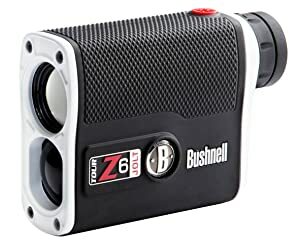 Luckily, rangefinders come in a variety of price ranges to appease the thriftiest of golfers to the ones who are looking to spend the big bucks. On average, you will see a rangefinder run anywhere between under $200 to over $500 dollars, so if this is a little bit of a stretch for you it will be best to try and find some coupons to help offset the cost of this purchase, which are often available from manufacturers. With these three features to keep in mind, the next question you should be asking yourself is which specific rangefinder you should go with. There are so many rangefinders available for you to purchase, but for the sake of helping you save the frustration of comparing all of them we laid out some of the best that you can buy to help improve your game. Here are our top three rangefinders that encompass accuracy, great yard coverage, and other important features. This rangefinder is going to cost you a little extra, but the quality of the product is amazing. With accuracy within a half yard, 450 yard coverage, and the ability to zero in on a flag with PinSeeker technology, this is likely to be the last rangefinder you will ever need. A few other qualities are its waterproof casing, long battery life, and a 6x magnification feature for easier viewing. 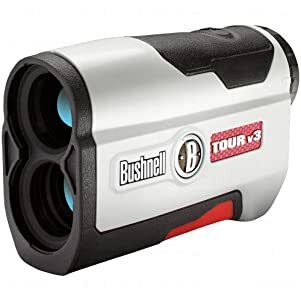 A great rangefinder that won’t break the bank is the V3 Standard Edition Golf Rangefinder by Bushnell Golf. This device has some great features, such as accuracy within one yard, 400 yards of coverage, and the same PinSeeker technology that is seen in the Tour V6 JOLT. This rainproof rangefinder also comes with a two year warranty which offers you peace of mind that your investment is safe for many games to come. Yet another rangefinder that is easy on the wallet is the Lofthouse Proscope 400X. It holds great features, such as accuracy within one yard, 6x magnification, and 400 yard coverage. It’s also considered tournament legal, which is an important quality for any golfer who likes to take their game to a more competitive level. This rangefinder is a great tool for those looking to add to their golf equipment and up their game a notch or two. It seems that the golf rangefinder really makes for an easier game, allowing smooth maneuvering of the field and avoiding any nuisances such as trees, water, and other obstacles. Great for the casual golfer or the pro golfer, it’s likely that you will see your game quality increase drastically with this tool on hand. Whether you are looking for a low price rangefinder or if price isn’t an issue for you, there is a rangefinder available to suit your needs.